How much does uPVC window and door painting cost? Written By The Restoration Group on 24th January 2018 . That’s probably the most common question we get here at The Restoration Group, whether it be on the phone, through our website or on Facebook – along with “Can you paint uPVC windows/doors“. So, we thought we’d put a little blog together to help answer such a question, and clear up some of the possible confusion regarding the costs and process of uPVC spray painting. If you’d like to request a free quote and receive a call back from our expert team simply fill in the form on the right today! 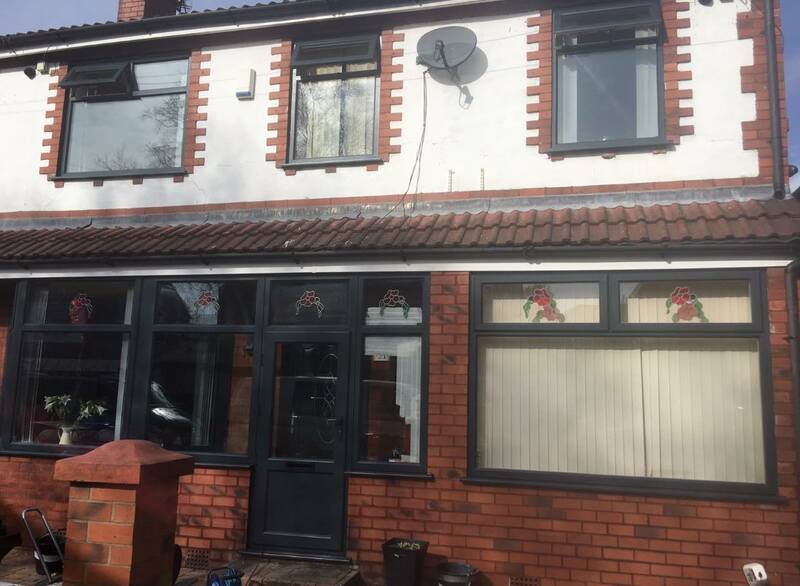 More and more people are learning about this fantastic and simple way to refresh and transform their tired and lifeless uPVC windows, doors and conservatories. But it’s not only the ease of the uPVC spraying process that is making it a ‘hot topic’ with homeowners but the significant cost saving it provides over replacing your uPVC features. Now as every home differs with the number and size of uPVC features ranging significantly, its understandably, impossible to simply put a hard figure to the cost of uPVC spraying, as no one quote will be the same, but what we can say here at The Restoration Group, to answer that increasingly asked question – ‘How much does uPVC painting cost?’ – is that in total uPVC painting can be up to 80% cheaper than replacing your home’s uPVC fixtures, covering the costs involved in labour, material and other associated costs such as the hiring of a scaffold if one is required. Overall making the choice of uPVC painting a much more cost-effective method of updating your home. But for a potential saving of up to 80% of replacing your uPVC doors and windows, what does the procedure involve and what reassurances are there on the quality of the work? 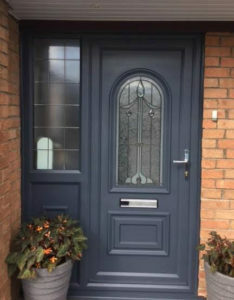 Here at The Restoration Group, we all of our team utilise the latest in paint and spraying technology to ensure a high-quality and professional service, which we believe in completely, that’s why we offer a warranty to match what you’d receive if you had completely new uPVC fixtures installed. And as we say the spraying process is quick and simple, meaning that you don’t have to worry about long work days or your home being turned into a construction site. Our applicators will first prepare the area, removing any objects and covering your possessions with drop cloths. They will then completely clean the area to remove any dirt, grease and grime which may prevent the paint from holding. 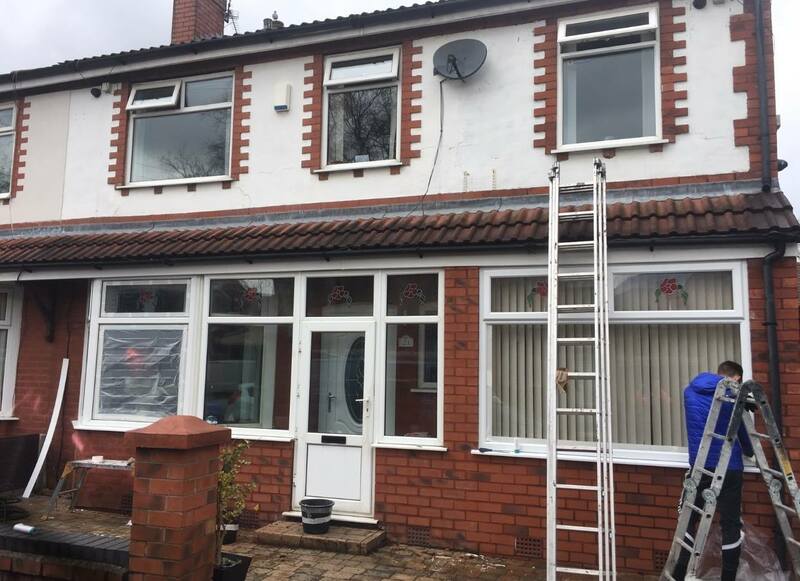 Next, they will apply a light abrasion to the uPVC fixtures to ensure the paint fully adheres before masking up the adjacent surfaces and covering any glass in protective sheets. It is then time to spray, our technicians will apply a minimum of three coats depending on your chosen colour. The paint will dry within half an hour, we will then conduct final checks and begin to remove the masking and again provide a full clean of the area. So, if you’re looking to update, refresh and transform your home then fill in the form on the right and one of our expert team will be in touch with your shortly to provide you with a detailed quote for exact requirements. We also offer a range of payment plans and finance options, so please feel free to ask out experts about them when they give you a call.